The Corporate Wellbeing Coach is a book full of inspirations. In an enlightening way, the author shares insights about the energetic dynamics of individuals and groups when the psyche is combined with food-, movement- and lifestyle. Job crafting, personal coaching, carrier coaching, coach competences , burn-out prevention, core talents and conflict management are keywords that are covered. Serge Haubourdin let some experts talk: Dr. Wilfried Staessen talks about nutrition and the effect on the psyche, Els Vanbelle talks about job crafting. Presentation coach Sylvie Verleye reveals the latest en most captivating presentation techniques and DR. Jutta Borms shares her vision about holistic medicine and prevention. With this book, the author wants to promote the application of the holistic approach from sport into the business world. Serge Haubourdin proves with concrete examples that company's who own this vision, have more success, contribute to a more healthy en human work atmosphere, in short: more successful well being. 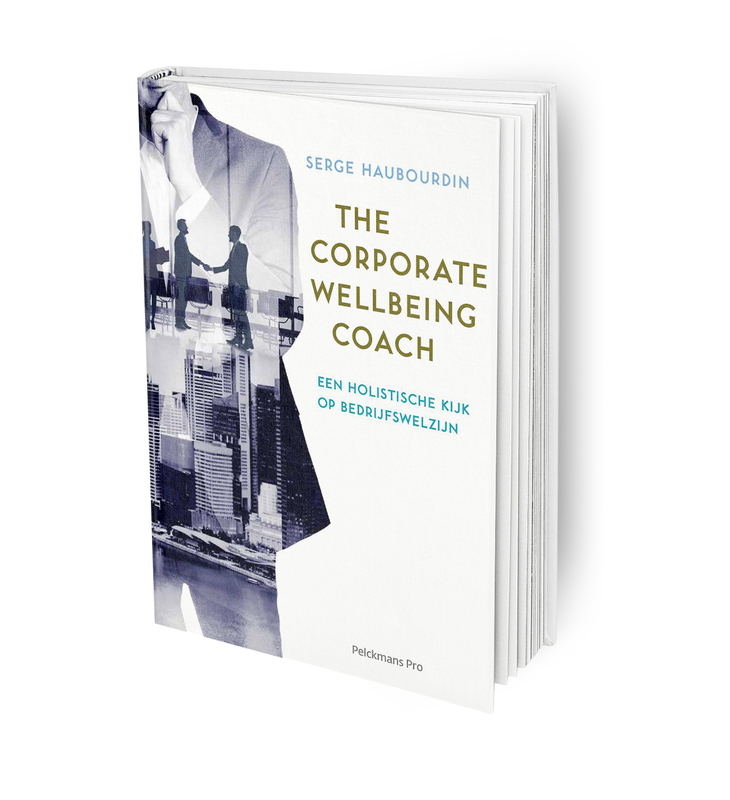 The Corporate Wellbeing Coach focuses on business leaders and managers, but also on coaches. Available in the bookstore or Pelckmans Pro from September. Serge Haubourdin is master in the psycho-energetic, licentiate in law, master in company management, top sport coach and Olympic sportsman (Sydney,2000) . Currently he's Founder of My Fenix where he guides other company's in Corporate Well being.This includes personal evolution courses as burn out prevention and burn out treatment. Serge teaches at the IE university of Madrid. His specialisation courses for Masters in HR concern HR Talent detection and development as well as team dynamics and building and managing the perfect team. He was a top sportsman and top coach of the Belgium and Flemish tennis federation. This experiences give him, in combination with a extended expertise in management, marketing and organisation of sport events, a unique view on the several dimensions of the human being. His curriculum vitae is impressive, and illustrates his dynamism and entrepreneurship, in sports but also in the business world. Els vanbelle did a PhD about job crafting in the research unit work- and organisation psychology and professional learning in the KU Leuven. Her wish is to come to a process mode of job crafting. Her work is connected to her interest in well being, job design, motivation, personal values and identity, coaching and the important balance between working and not working. She's seeing it as a challenge to go to practical implications. After her PhD in 2017, she wishes tot be active in the Corporate Well being courses. Max Icardi, a gifted sportsman, started his medical course on the university of Turin. in 1999, he moved to Scotland where he got his Bachelor of Science in sports medical. During his course, he developed his interest and fascination for Functional Training. Something that did not let him go. In 2003, Max went to Belgium and opened his first personal trainer studio of the country. In 2008 he was one of the people who started the Functional Training Network. Now it has 25 members and 3 different country's. In 2009 he set up the 'Functional Training Academy'. Thanks to his pioneering work and years of expertise, Max Icardi is a popular speaker on much congresses. In 2003 Jutta Borms won the survival program Expiditie Robinson, but this is just a small detail on her page of achievements. As a doctor in medicals, Jutta has a big knowledge of alternative medicals. Also she's a columnist en writes the column 'Naturally Healthy' (Vitaya). Jutta discovered that medicals is not just healing patients. This led to her interest in holistic medicals with as purpose to recover the balance between physical, mental and spiritual level. An unlucky coincidence - a car accident which has led to a whiplash - made her discover biopuncture and neural therapy. This was the beginning of a non-stoppable hungry to alternative (or better: 'additive') therapies. Besides her interest in energy and well being of people, she also has a passion for spirituality, yoga and meditation. Wilfried Staessens is doctor en nutrition expert. He's specialized in nutrition, energy and nutrition intolerance's. Together with his wife he's leading the Moyo Clinic for Nutritional Medicine, a medical center with diagnose and treatment of diseases that got something to do with nutrition are main issues there. 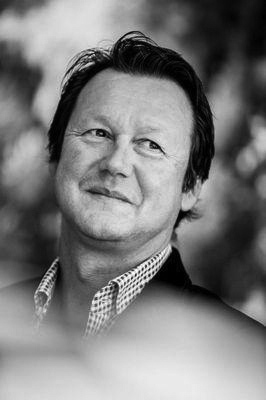 Wilfried is an expert in locating of shortness and unbalance in nutrition, determining nutrition where the patient is allergic or intolerant for, and developing methods to lose or increase weight, to be tired less or to digest better. His motto: To eat right is a necessity. To eat good is a pleasure. we need to combine right and good. Sylvie Verleye is philologist in the Germanic languages. She earned her spurs as a professional in for example the consultant world and at the IT company IBM. In addition, Sylvie worked as presenter at VT4 and currently she's a news anchor at TV-Oost. Her professional experience in the business world combined with her presentation skills are the base for presentation techniques in which Sylvie is specialized. Over the years she has developed her own presentation model that she keeps testing and customizing. 3 themes are central for this model: clear messages on base of storytelling, visual storytelling (with PowerPoint or Prezi), and ' authentic ' speaking with optimal attention for the public. Inge Van Belle is the diverse co-founder of Herculean. Although she was determined her entire youth to be an lawyer, she chose as a business consultant in ICT for another road after her law course.She came in contact with the Hercules Trophy as a customer and got involved in the organization. After doing the Hercules Trophy a number of years as a hobby, Inge realized that companies need new ways to encourage team buildings and to stimulate togetherness and that Hercules Trophy the unique solution was for these needs.Determined to make a difference, it became her main mission to inspire people to learn them the Herculean lifestyle, which can be briefly summarized as ' being a hero ' in life.Her role within the Herculean organization is sales and marketing, as well as protecting the Herculean values, arising from a large dose of her creativity. She's doing this with an inexhaustible passion and endless energy. Her life motto is: Never give up. Ever. Annick De Bakker en Kristian Vandenhoudt are two motivated senior HR-managers bij Atlas Copco, besides a technical and juridic base, they have also an eye for the human itself. They are inspirational people who are an example for ' the new working' and how you do it practical in a big and structured atmosphere. This talent together with the process that they've reached in Atlas Copco, gave Kristian The titel of HR-manager of the year 2017.